Ormond Beach, FL has a rich heritage and an excellent reputation as being one of Florida's most enjoyable places to live. As a matter of fact it was ranked in December 2009 by Where to Retire Magazine as the nation's 8th top place to retire (Read Article).The ranking was based on housing affordability, annual weather and other area ammenities.The magazine also took into account Ormond Beach's housing and condominium communities and current real estate pricing trends. Ormond Beach, FL offers many option for home buyers who are searching for that dream luxury home. Often, buyer start their search with oceanfront luxury homes or just expensive luxury homes. Ormond Realty Pros have made a simple and easy way for buyers to research the luxury neighbordhood and communities in the Ormond Beach area. Please take a moment see all that Ormond offer when looking for luxury housing. Breakaway Trails - Breakaway trails is an upscale gated community and well known for its neighborhoods surrounded by environmentally protected nature preserves. Amenities include a community pool, covered pavilion, tennis and basketball courts, a clubhouse and much more. Broadwater - Broadwater is one of Ormond Beach's premier gated communities. This community abounds with estates and custom built homes. Many of Broadwater's homes are either lakefront or on the Tomoka River. Indian Springs - Indian Springs is a gated community containing custom built homes, some of them lakefront. Indian Springs is West of I-95 off of Granada Boulevard/State Route 40. The lots are oversized and many homes have pools. Moss Point - Moss Point is a prestigious gated community, with a single winding street lined with majestic trees and less than 20 fabulous homes. Each home sits on an acre or more of manicured lawn and some have views of the Tomoka River. Ormond Lakes - Ormond Lakes is a wonderful community of 606 Single Family Homes. The community has 15 lakes, including one that is 45 acres big. The Clubhouse is available for homeowners to rent for events of up to 125 people and features a full kitchen. The community pool is outside the Clubhouse. There is also a lake view Pavillion that is a perfect place for a picnic or BBQ. Or take a stroll along the lake on the community's board walk. This community is off of U. S. 1 between I-95 and Nova Road. Also, take a look at a map of the Community (to reposition the map, click on the hand and drag the map any direction to show more of the community). Homes in Ormond Lakes are 3, 4, and 5 bedroom single family residences. 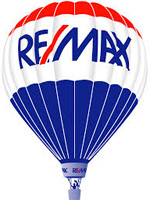 During calendar year 2005 and 2006, 45 homes were sold in rmond Lakes. The low was $259,000 and the high was $729,000. The Trails - The Trails is located in the heart of Ormond Beach. Also, click map for a Mapquest map of the community (click on the hand to reposition the map, in any direction). It is one of the premier communities in this city. The Trails cover 600 acres, with 990 homes and 3,400 residents. It also has 7 miles of bike paths, a club house with an olympic size pool, a tennis center and is adjacent to a large city park with tennis and handball courts, baseball diamonds, a children's park and picnic facilities. The Trails Shopping Center is adjacent to the Trails and contains some notable national chains such as Ann Taylor Loft, Talbot's Clothing Store, Joseph A. Banks Clothing, Merle Norman Cosmetics, Chico's Clothing Store, Radio Shack and Panera Bread Restaurant as well as a Publix Supermarket and CVS Pharmacy, and local stores as well including a florist, liquor store, an Italian restaurant and the Ormond Steak House. Homes in The Trails are typically either 3, 4 or 5 bedroom single family residences (individual homes) (some residences are larger as there are estate homes in this community) or 2, 3 or 4 bedroom single family attached (double, triple or quadruple units). During calendar 2005 and 2006, 87 homes were sold in The Trails. For the Single Family Residences, the low was $198,000 and the high was $645,000. For the Single Family Attached, the low price was $130,000 and the high was $245,000. This community is full of mature foliage, center landscaped islands in their roads and is very "family friendly". This would be a lovely place to call home.